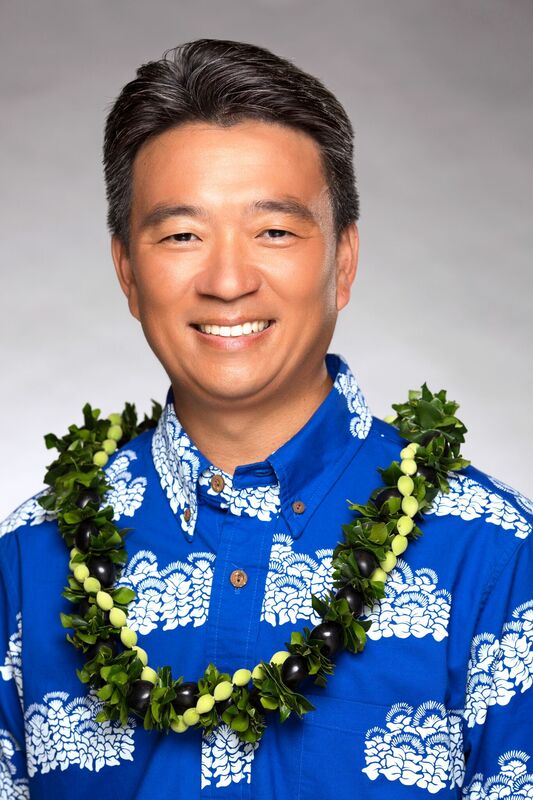 Shan S. Tsutsui announces his resignation as Lieutenant Governor, effective Jan. 31, 2018. He will be returning to Maui and will be joining Strategies 360, a public affairs, strategic communications and research firm with offices in Hawaii, 11 other Western states and Washington D.C as a Senior Vice-President. “With a grateful, yet heavy heart I am announcing today that I will be resigning as the Lieutenant Governor of the State of Hawaiʻi, effective January 31, 2018. Over the past 15 years, it has been my honor and privilege to have served the people of Hawaiʻi, first as a State Senator from Maui and Senate President, and currently as your Lieutenant Governor. Throughout that time, I have always been mindful of the tremendous responsibility that comes with public office. I have greatly appreciated the trust and confidence that was bestowed upon me and have done my best to build a better Hawaiʻi through collaboration and hard work, while honoring our shared core values of honesty, integrity and respect. As Senate President, I was fortunate to draw upon my many years in the Senate and the relationships that I had established to exhibit a collaborative style of leadership, and I did my best to ensure that all Senators were respected and heard. As your Lieutenant Governor, I have continued to work cooperatively with leaders in the public and private sectors, as well as members of the public, with that same level of respect and attention. During this time, I am proud to have established the Resources for Enrichment, Athletics, Culture and Health (R.E.A.C.H.) initiative to support after-school programs for middle and intermediate public school students. As a father, I was especially concerned with ensuring that middle school students engage in positive activities and relationships during hours when many are left unsupervised because their parents are working. Since 2013, R.E.A.C.H. has invested approximately $2.75M in more than 40 public middle and intermediate schools, including charter schools, statewide, reaching thousands of students. Funds have helped to provide robotics programs; hula, ukulele, music and other dance lessons; basketball, soccer, wrestling and other sports; cooking, fishing, art, and hydroponics; and many other clubs and programs. Participating students have shown improved attendance, attitude, behavior and even grades. Additionally, I was excited to have taken the reigns of the Farm to School Initiative, which we have developed into the “‘Aina Pono: Hawai‘i’s Farm to Cafeteria Initiative,” to increase the purchase and consumption of local food in our school cafeterias. With an enthusiastic team of advisors and ‘doers,’ along with support from the Department of Education, Department of Agriculture, private partners such as The Kohala Center, and many other generous donors, a burgeoning pilot project was launched to infuse local foods and flavors into our school menus, while providing healthier options for our keiki. As the project continues to grow and expand throughout the State, the effects will have a lasting impact on our keiki, the agriculture industry, and the state’s procurement processes. Throughout my time in office, it has been an absolute pleasure to have had the opportunity to meet so many talented and inspiring individuals. I have witnessed firsthand the many hardworking families who fight traffic in their daily commutes, while holding down multiple jobs to provide a better life for their keiki; the bright, dedicated students who not only excel in Hawaiʻi but can also compete with their counterparts nationally; and the small businesses and farms using innovative and entrepreneurial ideas to revitalize family businesses. You have all inspired me and helped to make me a better person and leader. I will cherish these experiences and lessons and carry them with me throughout my life. I would like to express my deepest gratitude to the people of Hawaiʻi for the opportunity to have served you all these years. Truly, I have been blessed with the support of so many individuals, family and friends. I especially thank my incredible family—my wife, children, parents and extended ohana for their tremendous love, support and many sacrifices over the years. I would like to thank Governor Ige for the privilege of serving in his Administration. To Neil and Nancy, Lyndelle and I thank you for your friendship and kindness and the love you have shared with our daughters. I also send my aloha to my former colleagues in the Legislature and the tens of thousands of public employees throughout the State for their hard work and dedication to the people of Hawaiʻi. Finally, a big mahalo to my staff and security for your unwavering devotion and enduring commitment to the office and to helping me best serve the people of the State. Your hard work did not go unnoticed, and I will be forever grateful to each of you. Strategies 360 is a Seattle-based company with offices in 12 Western states and Washington, D.C. The company offers targeted public affairs, strategic communications and research services to position its clients for success.